Slide 1. Hi, I’m Dr. Monica Rivera Mindt, President Elect of the Hispanic Neuropsychological Society (HNS). On behalf of HNS, I’d like to our exciting upcoming conference. Slide 2. 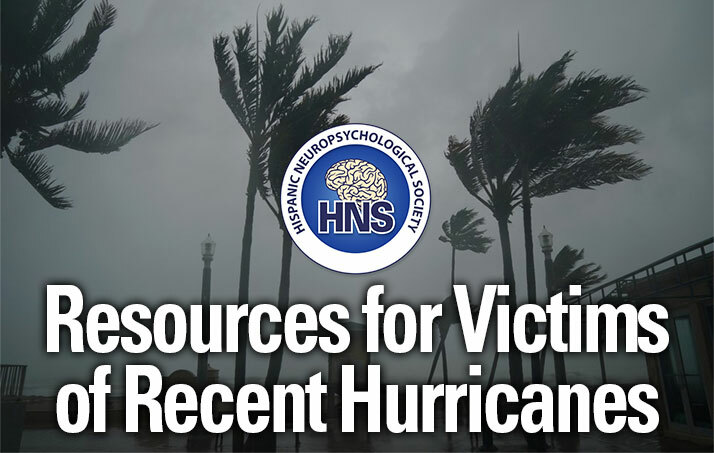 HNS is an independent non-profit organization and it’s unique in that it’s the only free-standing organization in the US dedicated to cultural neuropsychology, particularly as it relates to Latino and Spanish speaking populations. Slide 3. Our mission is to advance science, practice, and education and training as it pertains to neuropsychology with Latino and Spanish speaking populations. And, to provide guidelines and the dissemination of resources to promote ethical and culturally competent research, practice, and training. 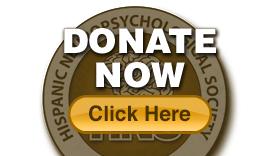 HNS is a cultural neuropsychology organization that is open to all people from all cultural/linguistic backgrounds. We are an inclusive and welcoming organization. Slide 4. Now, I’m excited to talk about our upcoming HNS Conference. This year’s theme is Cultural Neuropsychology 360. The aim is to take a 360-degree perspective of cultural neuropsychology across research, practice, education and training, and importantly – policy. While our focus definitely is on Latino populations, we will also explore sociocultural issues more broadly that intersect with other populations, like acculturation, language, and quality of education. Slide 5. We invite you to join us for our HNS Conference will be this June 7th, 2017 in Boston partnership with the American Academy of Clinical Neuropsychology (AACN). In our morning session, we will offer multiple plenary sessions and ~3 CE credits, with an outstanding line-up of speakers. Slide 7 – 9. And we will have Drs. Desiree Byrd, Celiane Rey Casserly, and Clemente Vega discussing research, training, and empirically supported practice, respectively. Slide 10. In our afternoon session, we are thrilled to be hosting the 2017 Cultural Neuropsychology Summit, which is free for all to attend and will be hosted by area experts who, along w/ Summit attendees, will generate recommendations related to cultural neuropsychology. This summit is a follow up to the 2007 Summit and is organized by Drs. Bob Heaton, Jen Manly, and myself. And, it’s important to be part of this open discussion if you would like to participate in how our field moves forward. Slide 11. On June 8th, we will be partnering with AACN’s Relevance 2050 Committee to provide a full day of partnership programming on cultural neuropsychology issues, including a Cultural NP 101 Toolkit talk that will be very hands on and helpful for real world practice and research. Slide 12. Then that night on the 8th, we will be hosting a HNS/ANST Partnership Social Event. This is an important fundraiser for HNS and it’s gonna be a blast w/ incredible Latin food, dancing, and a raffle of great prizes including an assessment battery and books. Please join us @ La Fabrica Central in Cambridge Central Square for this fun event! Slide 13. Please register TODAY at our HNS website for our conference, the summit, and our social event. Please go to the AACN website and also register for all of their great programming too. And again, a big thank you to AACN, AACN 2050, and ANST for partnering w/ us and we hope to see you soon in Boston!